This is the sixth major post-release update for Albion Online, each of them improving the game in many ways. Like those that came before, Oberon will introduce some major new features to keep players happy. One of these features involves the Dungeons you can walk into through various points across the map, explore and take down NPCs. The problem is, they are currently quite boring. That should change, as the Oberon update will make these Dungeons procedurally generated lairs with hidden entrances. So not only do you have to find them, when you do they should be different each time which makes the world exploration and PvE in Albion Online a whole lot more interesting. The developers say they have the "potential to contain rare bosses and valuable loot". 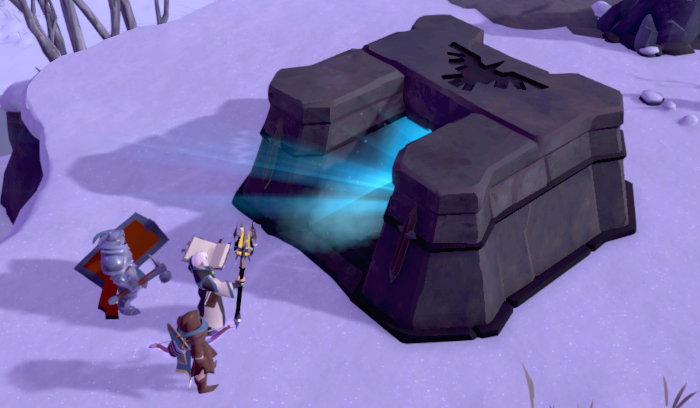 PvE elsewhere in Albion is set to get more interesting too. Taking down mobs throughout the world will be more worthwhile, with them dropping runes, souls and relics giving you more crafting possibilities or just sell them and make a little profit. Not just more loot though, a bunch of new mobs are being added to the game from "ethereal wisps and devious Acolytes to the fiendish Keeper Witch". If you were thinking of getting into Albion for the first time, it's going to be a lot easier too. They've reworked the tutorial to give "clearer guidance on the game's systems and combat" while also reducing the grind required for the earlier tiers, helping to get players on a more level playing field. For a full look at what's coming with the Oberon update to Albion Online you can see this dedicated page for it. I have to admit, I'm liking the sound of the Oberon update quite a lot. I fizzled out on Albion long ago when I realised how shallow it was outside of PvP play but since then they have done quite a lot to make it more interesting. Quite excited to give it another run. You can find Albion Online on Steam or direct from their website. G'day. My name's Pie, and I'm an addict. I've been clean from World of Warcraft since before the current expansion, and I only occasionally dabble with Elder Scrolls Online using Lutris. The lack of good MMORPG games on Linux has been a real help to my sobriety, but now you tell me that Albion Online is getting vastly improved PVE? Goodbye wife, it was nice knowing you. Glad to see them focusing on improving PvE. PvP gaming is just not my thing. I started playing Albion back in beta, and saw a lot of potential in it, but even after full release they just kept focusing on PvP aspects of the game, and I quickly lost interest in the game. After they implement the PvE improvements I'll have to give this another shot. Ditto to the PvE comments. That's what my friends and I like. We've never been end-game, PvP people.